Save over 30% and support the program! The 2017/2018 Theatre Arts Program season will be extended into the summer! Now there are two ways to save over 30% and support our growing program: the Academic Season Subscriber Package or the Full Season Subscriber Package. Become a subsriber and help support the arts. Contact the box office at 203-371-7908 today. 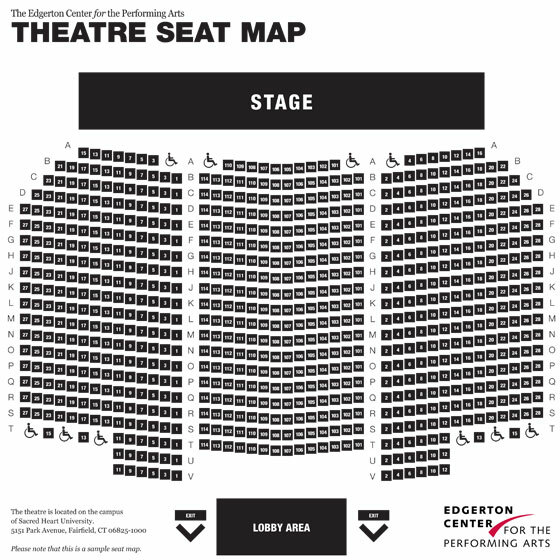 The Academic Season Subscriber Package includes three tickets to your choice of the six academic season shows (two Main Stage and four Little Theatre available). All seats are completely exchangeable for another TAP performance up to three days prior to the originally chosen performance. The Full Season Subscriber includes the three academic season tickets and an all access pass to the entire summer season (Godspell, Barnum, New Works and Emerging Artists). Call 203-371-7908 to start your TAP Subscription. *includes 3 Academic Shows and Summer Theatre Shows. WEEKDAYS: Due to construction on campus during the 2016/2017 academic year, parking will be restricted to SHU students and faculty only, Monday-Friday, 7am-5pm. Visitors attending an event during the week MUST contact the Edgerton Center box office for off-campus parking instructions prior to the performance date. WEEKENDS: There are no parking restrictions on weekends but availability may be limited due to other events on campus. Carpooling, public transportation, family/friend drop off and pick up are strongly encouraged. Early arrival is also highly recommended. Students living off-campus must take a shuttle to the campus to attend Edgerton Center events. Tickets are available for purchase thru the Ovation website. The Box Office is open for shows 2 hours prior to the performance. No refunds or exchages. All ticket sales are final with the exception of canceled performances. SHU students and faculty/staff discount tickets are available but limited to 1 ticket per valid ID. Online ticket purchases include a minimal processing fee.